I'm not ashamed to admit that I don't have a lot of friends- though the number of them are growing (which is a nice feeling, actually). It's not that I'm not very friendly (I'm quite friendly), nor that I'm not very sociable (I can be quite sociable at times). No, it's the fact that I'm picky about who I call a "friend". Because of that, it takes a bit for me to open up to people. Though there are those rare people to whom I have opened up to immediately upon meeting. Jay (from "We Came From the Basement") is one of those rare individuals. We first met in Grade 7 at Arthur Hatten Elementary (a place that'll become a mecca once Jay and I become totally famous). That was... oh, 28 years ago. During that time, the two of us have created some traditions: sitting around the fire pit at his cabin drinking beer and discussing the world and the Universe; recording a comedy tape while drunk once a year (for our own enjoyment); and Carport Night. Carport Night is the most recent creation. 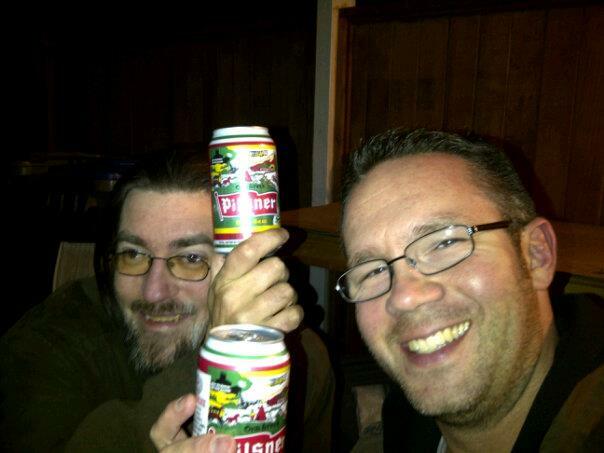 Last fall, Jay and I decided one night to sit in his carport while drinking. It was a lot like sitting around the fire pit... minus the fire pit. It was such a satisfying event, Jay and I decided to do it once a month. It's quite relaxing and enjoyable. It's just Jay and I having a few beers, enjoying the fresh air, and discussing things that are happening in our lives, or the world. That's all it is. Except for the most important element. I'm doing it with my best friend. 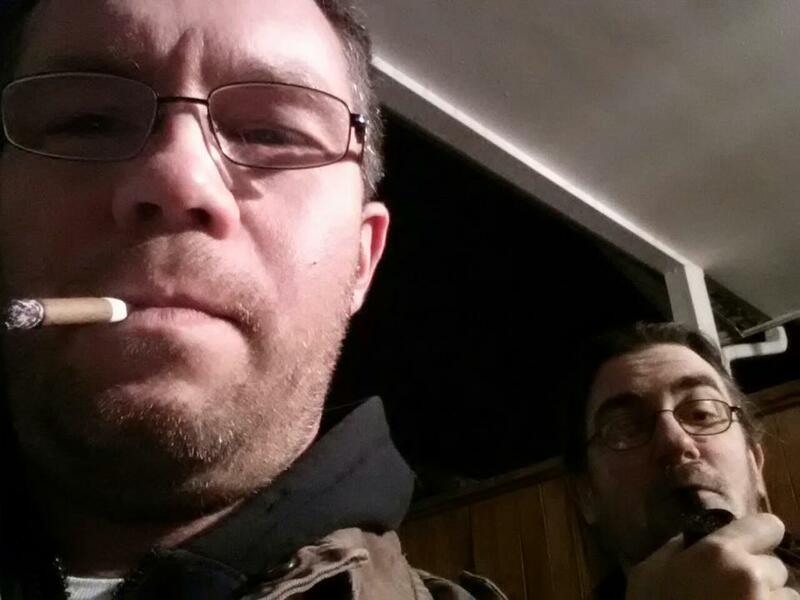 Only my best friend would agree to sitting in a carport on a snowy, chilly night drinking cold beer and having a smoke. Only my best friend would think it completely natural- and enjoyable to do. Which is why Carport Night works- since it's the two of us, it's quite natural. While many would shake their head at the idea- or say that it's a rather redneck thing to do, when those that know us hear about us doing it, they simply say, "Naturally." Maybe that's part of why our friendship works so well, and why I opened up to Jay when I first met him all those years ago... It was just natural. Mushy sweet. You two are so different and the friendship the two of you made is rare to see nowadays. Now to get Jason to let me have the cabin....oh wait..I am dreaming.